Why Don't You ... See The Stunning New Diana Vreeland Flick Tonight! Whenever we're asked that quintessential Proustian riff on who we'd invite to dinner, living or otherwise, the answer's resoundingly the same: Diana Vreeland. Yep, broken record status. We proudly own every book on the late, great original editrix (even splurging on the Visionaire Memos!) 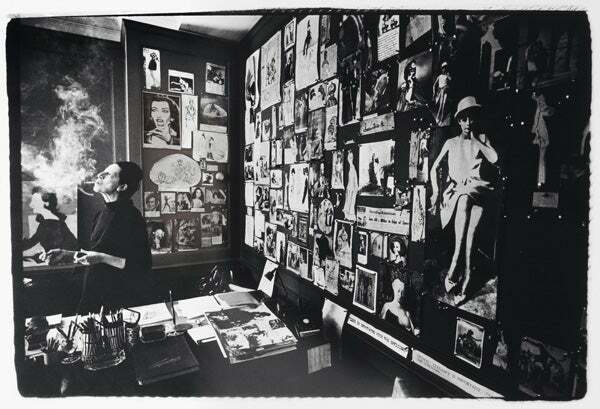 — but never before has there been a more intimate glance at her captivating persona or dazzling eye than in today's release of Diana Vreeland: The Eye Has To Travel. We gave you a sneak preview of the trailer a few weeks back, just before she posthumously received that weighty plaque on the Rodeo Drive Walk of Style, and now we can finally give you a few more tidbits of what you might expect from the documentary (don't worry, no spoiler alerts necessary). The flick is filled with her oft shocking and witty one-liners like these, but the beauty is that you actually hear them purring out of her mouth in the recordings of raspy conversations she had with George Plimpton for the writing of D.V. There's rare footage galore amongst marvelously (we think she'd approve of that word choice considering the flick's littered with it!) edited animation sequences of her 50-year supremacy as fashion's black sheep with imaginative bite. Another heartwarming element is the countless gushing interviews of those who worked with her, but perhaps most unexpected aspect is the sense you get that she didn't really have it all. Her sons ambiguously speak of a mother they obviously admired, but also the struggles that came along with having such an atypical upbringing and perfectionist parent (the shampooing with champagne probably didn't help). If you adore her as much as we do, you're guaranteed a silver-screen cathartic experience (squealing, laughing, crying — the whole emotional kit & caboodle), and if not, you'll at least gain a history lesson in rock 'n' roll, feminism, and the invention of the modern-day glossy. As you watch, it's tough not to be utterly overjoyed that Tinseltown has finally given recognition to one of the most influential females of the century. (Can you imagine what would have happened if someone had placed a video camera in her hand?). Truth be told, the visuals are so stunning, we'd rather forgo the Emmy red carpet on Sunday, and catch this one again.